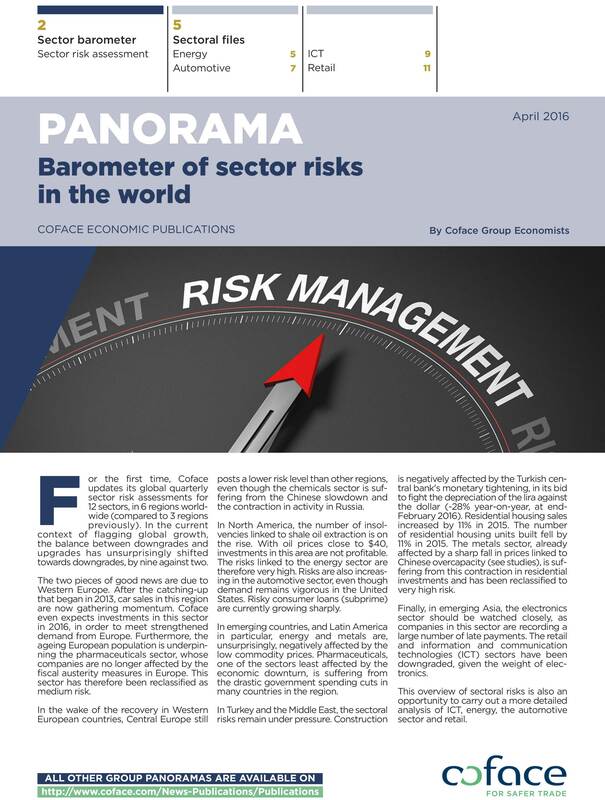 For the first time, Coface updates its global quarterly sector risk assessments for 12 sectors, in 6 regions worldwide. In the current context of flagging global growth, the balance between downgrades and upgrades has unsurprisingly shifted towards downgrades, by nine against two. In the wake of the recovery in Western European countries, Central Europe still posts a lower risk level than other regions, even though the chemicals sector is suffering from the Chinese slowdown and the contraction in activity in Russia. This overview of sectoral risks is also an opportunity to carry out a more detailed analysis of ICT, energy, the automotive sector and retail.